New Zealand Information Portal - New Zealand is a wonderful place to start a career, start a business, or study further. Located in the South Western Pacific Ocean, New Zealand (or Aotearoa – the Land of the Long White Cloud) is made up of two main islands, the North and South, as well as many smaller islands. Each island is distinctly different. New Zealand’s main population is located in the North Island where both the largest city, Auckland, and capital city, Wellington, can be found. The North Island has a temperate climate and is shaped by its volcanic history. Some of the main cities of the North Island are: Auckland, the Bay of Plenty, Rotorua and Wellington. With more than 1.2 million residents, Auckland is a large, bustling city located between two harbours – the Manukau Harbour on the West Coast and the Waitemata Harbour on the East Coast. Auckland has a strong Polynesian influence (this is due to Auckland having the largest number of Polynesian people residing there than anywhere else in the world). The Bay of Plenty is centred around the extinct volcano Mount Mauganui which is located in the Tauranga Harbour. It is a highly productive farming community and has a plentiful wine and seafood industry. One of New Zealand’s best known tourist destinations is Rotorua. It is steeped in Maori culture, has geothermal activity, natural hot springs and, as with most of the North Island, volcanic landscape. The capital city of New Zealand is beautifully located between rolling hills and a stunning harbour. 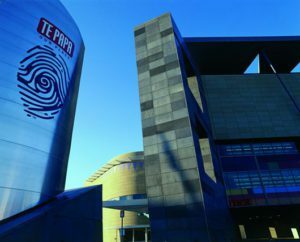 Wellington is also renowned for being New Zealand’s culture and arts capital. It is a popular destination due to its beautiful wooden houses, historic buildings, many museums and art galleries. New Zealand’s South Island is dominated by the Southern Alps which run the full length of the island. It’s main city is Christchurch and it’s home to Queenstown, New Zealand’s adventure capital. The South Island is surrounded by amazing natural wonders – the Milford Sound and Fiordland National Park and diverse wildlife. Also known as “The Garden City”, Christchurch is the main gateway to the South Island for overseas travellers. It has a strong English heritage which can be attributed to the first settlers to the city arriving in 1850 from England. The main attraction of Christchurch is Cathedral Square, all the central shopping centres and businesses are located around the square. Dunedin is a paradise for nature lovers and is also known New Zealand’s “Wildlife Capital”. Dunedin has a long, rich heritage with a Scottish feel. Many of its buildings can be dated back to the 1860s. And finally, New Zealand’s number one resort destination, the adventure capital – Queenstown. 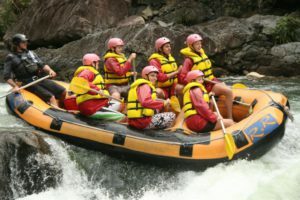 Queenstown is a thrill seekers utopia with so many wild adventures to be had, these include; tandem paragliding, jet boating, white water rafting, bungy jumping and sky diving. 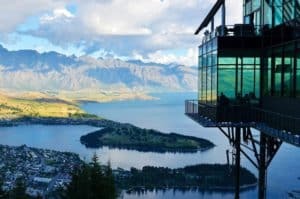 The Skyline Gondola will take passengers to the top of Bob’s Peak where spectacular views of Lake Wakatipu and The Remarkables (a mountain range) can be admired. With so much on offer New Zealand is certainly a country of remarkable contrasts and awesome beauty. New Zealand is one of the worlds hidden gems, whilst well known to Australians as a fantastic holiday destination the rest of the world still seems to be in that dark about all New Zealand has to offer. Home to many a national wonder, with world class ski resorts, beautiful beaches, intense rainforests, rich culture, and stunning landscape. This is a country many will want to visit. 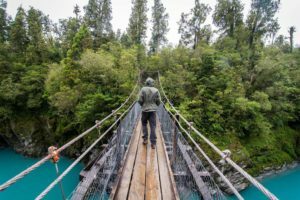 One of the things New Zealand is well known for is bungi jumping, for the more daring of course. All over New Zealand you can choose to jump from the most stunning mountains to jumping in the cities off a bridge. Definately a different way to see some amazing landscape, and a great story to tell friends and family back home. 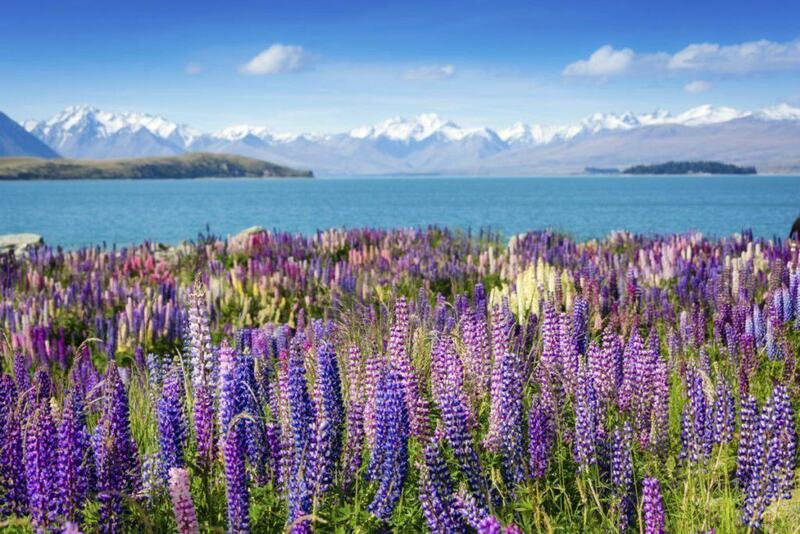 New Zealand is split into two main islands North and South consisting of many different regions. The capital city of Wellington is located on the North Island. Also located in the North Island are regions such as Northland, Auckland, Coromandel, Bay of Plenty, Waikato, Rotorua, Eastland, Napier, Taupo, New Plymouth, Wanganuia, Wairarapa and of course Wellington. On the North Island Auckland is one of the most popular holiday destinations, with its beautiful beaches, Mountains, Harbours, Rainforests all on this cities door step it is no wonder. There are many things to do and see on the North Island such as: Fishing, Diving, Boating, Swimming, Hiking, Exploring the Historic buildings, Crusies, Galleries, Theatres just to name a few. The North Island is also home to one of the worlds tallest buildings The Sky Tower. The South Island although colder, is home to some great Alpine sports. Christchurch is the place to visit for this. With world class ski resorts and amazing mountain ranges. The other regions of the South Island inculde: Nelson, Canterbury, Christchurch, West Coast, Timaru, Queenstown, Fiord Land, Coastal Otago, Central Otago and Southland. The natural wonders of the South Island would take a life time to explore, with mountains to climb, glaciers to see, caves to venture into and of course the oceans dieing for you to visit them. The South Island is an adventurists ideal holiday. 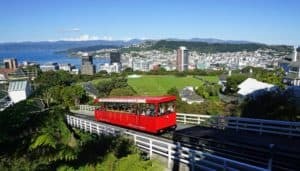 With so much to see and do in New Zealand and so much culture and history to explore in each city, New Zealand is really an amazing place to visit. New Zealand is a beautiful country with a world reputation for its gorgeous natural environment (as seen in the Lord of the Rings trilogy). From expanses of green farmland to magnificent snow covered mountain ranges to stunning beaches, the landscape offers something for all tastes. New Zealand also boasts thriving urban areas, a fascinating indigenous culture and mild climate. The different regions of New Zealand offer unique attractions and opportunities. 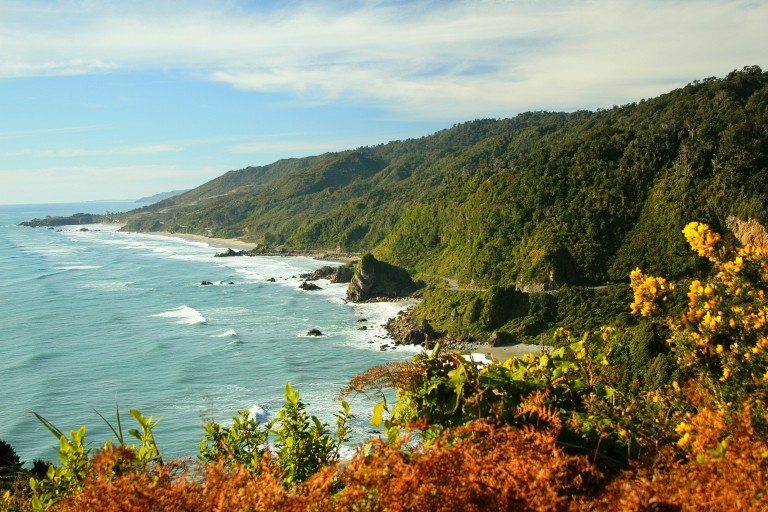 The Bay of Plenty is a must do for those wanting to experience a pristine beach community, while the Canterbury region of the south island offers the nation’s best skiing. These are just two examples of what’s on offer. The long, thin shape of the islands means the climate varies between regions. The southern tip of the country is generally quite cold, while the rest can differ from continental to sub-tropical. New Zealand is quite an isolated nation (its nearest neighbour, Australia, is a three hour flight) and as a result has a wide range of native wildlife. The famous flightless kiwi bird is one notable example. Wildlife can be found all over the country, with other native birds like the tui or the kereru known to frequent suburban backyards. 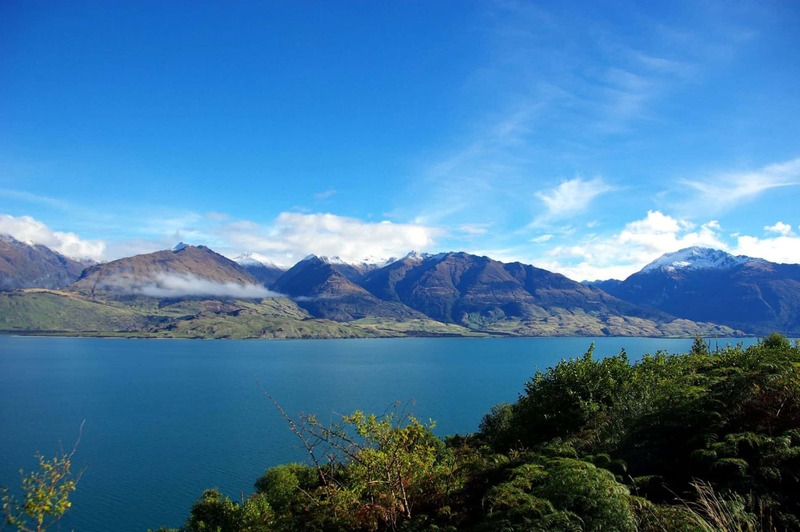 With large resources of untouched wildlife, New Zealand is a haven for nature lovers. Whether its sun, sand or ski you’re after, you’ll find it in New Zealand. 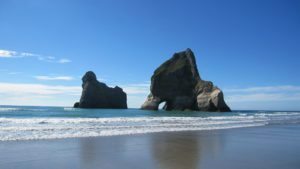 New Zealand: A Brief Tour - Kia-ora, welcome! New Zealand, also known as the "Land of the Long White Cloud" is known for its geographic isolation, natural splendour and the highly distinctive flora and fauna. Located in the Pacific Ocean in the Southern Hemisphere (with Australia to the north-west), New Zealand consists of the main bodies the North Island and the South Island and a group of smaller islands including the Chatham Islands and the Stewart Island or Rakiura Island. New Zealand is a democracy and constitutional monarchy, with a parliament led by an elected Prime Minister. Wellington, located in the southern end of the Northern Island, is the governing centre and capital city of the country. 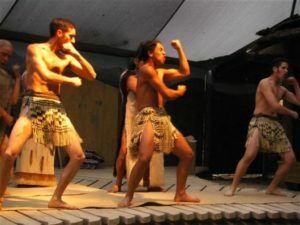 The nation boasts a rather cosmopolitan population make-up of the indigenous Polynesian (primarily Maori), American, British, Australian, European and Asian influences. The economy is heavily reliant on agriculture and fishing, with much of the fresh Pacific Ocean crop exported to a seafood-hungry Asian market. The manufacturing sector also features prominently, and in particular technology. Tourism, as might be expected, is a vital source of income for the country, with some two million visitors per year. And no wonder: as popularised in the Lord of the Rings movies New Zealand is a land of magnificent bio-diverse natural assets, from sweeping greenery to rivers and snow capped mountains. Many forests, for instance, are home to native rare birds like the kiwi, kea parrot and kaka. 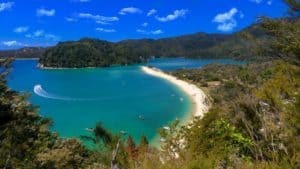 Standing testament to the liveability of New Zealand is Northland, whose combination of history, culture, and lifestyle (which includes world-class accommodation facilities and dining options) consistently entice tourists the world over. Some of its key attractions include the 90 Mile Beach, Cape Reinga, Ahipara, Karikari Peninsula and Doubtless Bay. Northland is ideal for fishing, snorkelling and scuba diving ? its west coast even tells of shipwrecks and treasures. 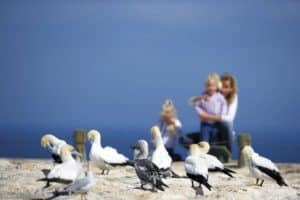 Similarly, the southern most regions in New Zealand which make up Southland offer even the most casual visitor an intriguing variety of locations to explore, from scenic rainforests to waterways, and wildlife galore. In the south you will find the popular city of Invercargill, home to evocative Victorian & Edwardian buildings, parks, and gardens. Stewart Island, an ecological spot in the Southland region is another tourist attraction famed for its unique birdlife, like the rare, popular Kiwi. A daily ferry (or plane option if you prefer) will take you there and back. Other noteworthy attractions of Southland include Catlins coast, Queens Park, and Rakiura National Park. Then there is Auckland, New Zealands biggest city, which offers visitors endless opportunities to indulge in pleasures like fine dining and wine, shopping and nightlife, as well as outdoor activities like hiking, swimming and sailing. 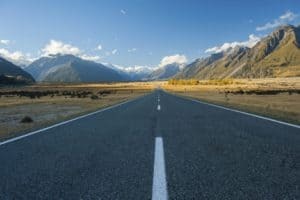 Getting around New Zealand is made simpler by the various transport options available including bus, train, air charters and car hire. Motor home and campervan hire are also popular ways to independently explore the New Zealand landscape (horse riding is a popular activity too!). For those seeking a culinary adventure, New Zealand stages many regular local harvested food and wine celebrations, alongside arts and crafts fairs and market days. For those with a specific educational or career pursuit in mind, New Zealand has a complete range of education institutions and training schools catering to both local and overseas students across all disciplines, with outstanding academic support and student services. Theres also top-notch sporting facilities and sporting academy centres specialising in rugby training, rugby league training, cricket and netball training. Almost any goal you can think of achieving can be realised here: R and R, sightseeing, outdoor activities, education, work, family and more. 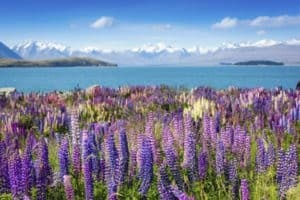 New Zealand is a unique and worthy destination on the global map and is sure to make a lasting impression on all visitors. Want to see some New Zealand pictures? About New Zealand New Zealand - Land of the Long White Cloud Welcome! Our country New Zealand is one which you not find any equivalent in many exciting ways even in the 21st century. New Zealand goes against all the stereotypes and it is every bit an exciting, world beating leader in so many areas yet paradoxically is largely free of the tensions and strife that have come to characterize many otherwise comparable nations. Innovative, adventurous, technology leaders, sports pre-eminent , healthy outdoors pursuits -- all with an amazing backdrop you will probably not find in any other country, and what is it? They are the most courteous and respectful and easy-going nation of people you will ever meet. An anecdotal example that my own family cites: at a recent banter and exchange overseas at a store in that neighboring nation, the salesperson remarked " you must be from New Zealand", to which my sister said, "why, yes, but why do you say that?" "Because you are so polite" replied the salesperson. That basically is the reaction you too will feel if you come down here for education, travel or immigration. Be prepared to be lightened in your burdens with the nationwide reply you will hear from store personnel to making phone inquiries to anyone here: " No worries, cheers". They mean it. New Zealanders are a very laid-back, easy-going people. We are known as Kiwis after our unique flightless long-beaked bird. From a population of only 4.3 million the majority of Kiwis are of British Isles ancestry with the minority being the indigenous Polynesian people our Maoris. English is our universal language here. Numerous other Pacific Islanders such as Samoans have come to be an embedded and cherished part of this superbly mixed culture. Each practices and preserves their very own cultural identity and heritage yet due to New Zealand's truly unique way of raising as a combined "family" in the school system, this nation succeeds like no-where else on earth as seeing no color, no separateness or inferiority as can be found in overseas nations. You will become used to seeing harmony of mixed couples here. Aotearoa in the Maori language is translated as Land of the Long White Cloud. This is purportedly what the early Maori explorer Kupe saw when he first sighted NZ. New Zealand is approximately 2000 Kilometers south east of Australia across the Tasman sea. This is named for the Dutch explorer Abel Tasman whom was the first European to chance upon this land when he discovered it in 1642. Though he did not map its entirety, he named it after one of the the provinces in the Netherlands, Zeeland, for which we are indebted to him to this day. Captain James Cook of the British Admiralty further mapped the land comprehensively beginning in 1769 and even in this the 21st century, New Zealand is still part of the British Commonwealth. Technically the Queen of England is still its Monarch but she along with the Governor General are a fading remnant whose real authority is chiefly ceremonial today. Comprising mainly two large Islands, named the North and South Islands, think of Britain: - NZ would cover the better part of both England and Scotland combined. If you wish to enjoy New Zealand's amazing and unusual climate, you will be the recipient of its placid 'oceanic' regime. The vast surrounding south west Pacific has a moderating effect and consequently little intensification occurs to produce such storms of the caliber experienced by large land masses such as the European/Eurasian continent. Snow in most populated areas is rare and being located in the temperate zone, very few hurricanes/cyclones make it down this far south. It is an exceedingly unusual experience to enjoy December and January as the hot summer months here. From the largest city Auckland all the way north, there exists wafted upon the air 24 hours a day a delightful sweet fragrance as though one were in the Garden of Eden. It is the scent of the bright red Pohutukawa blossom that proliferates along the entire north east coast in the summer months. Due to its exceptional isolation, only bird-life developed here, all others - except for a marginal lizard, the Tuatara and a species of bat - never made it to these shores. Histories largest flying bird the massive Haast eagle and the largest flightless bird ever known, the Mighty Moa thrived here until the appearance of man around the early part of the Christian era. By 1450 AD Maori exploration had found New Zealand and displaced the earlier Moa Hunter culture that was here at least from 1000 AD. Mammals were unknown until the advent of the Polynesians, with their inevitable dogs, pigs etc. Technologically and sports-wise, New Zealand consistently surprises and outclasses the world and fields a very powerful presence in its favorite pursuits -- and this is again out of all proportion to its tiny size - all of New Zealand could fit into the population of Los Angeles. It made history in taking the Americas cup; the stunning Britten racing motorcycle that broke all records, the many running /iron-man events .. and the greatest of them of all time - climbing the highest mountain Everest, are indicative of this successful, modest nation. No nation whom fields any competitive contingent can afford to ignore the New Zealanders and indeed Kiwi talents are sought all over the world not only in racing but in its unequaled knowledge of Carbon Fiber use. The latest example is the stunning Earthrace boat( since renamed ) whom broke all records for the most fuel efficient round the world powered boat. The cup yachts, bike and boat are all carbon fiber and all beat the best the world had. 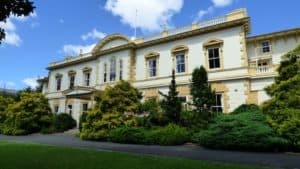 New Zealand Universities fosters, builds and promotes what has become an iconic national trait - a 'can-do' savvy approach that mega countries 'attempt' to do with massive budgets. And NZ simply does it quietly and efficiently almost on a shoe-string. Kiwi's mentality is very much "outside the square/box"... that 'unique and innovative' is preferable to big. From the earliest colonial days Kiwis have had to 'invent' and 'make do' simply because we were thousands of miles away from the nearest re-supply. A New Zealand university degree has earned a deserved respected status throughout the world since it is understood the highest, rigorous standards here bestow the holder of said with pre-eminent world class qualifications second to none. And when you come here, you will note the peace, the pace, the placidity and not surprisingly the absence of any fire-arms adorning any police. There is no need in a country that has a very low crime rate, long life span where the main excitement is the latest Rugby matches where again the New Zealand All Blacks consistently win. Finally consider this nice little quaint note that this author has not seen overseas. Be prepared to take your shoes off before entering peoples homes or perhaps at rural grocery stores if your footwear is at all muddy or dirty. It is part of the culture here to remove them before entering as a sign of respect and courtesy and for this you will fit right in with the most peaceful, courteous people of any industrialized nation. New Zealand is split into two main islands, North Island and South Island, with literally hundreds of other islands belonging to its territorial claim. Most of these smaller islands are scattered throughout the oceans and seas between Australia and Antarctica but a great deal of them can be found around New Zealand’s coast and in its rivers and lakes. For those seeking snowy mountains, the Southern Alps will not disappoint. Stretching along the backbone of the South Island are around 20 peaks that exceed 3000m above sea level. Cold ocean currents from Antarctica and its isolated position away from other world continents expose New Zealand to a breathtaking cover of snowy peaks throughout most of the year. It is a spectacular venue for skiing as well as other snow sports. In the North Island, the mountain ranges are dominated by volcanoes; both extinct and active. National Parks dot the whole of both islands and are perfect for hiking and 4WD holidays. Travellers should check ahead for recent volcanic activity when planning long hiking expeditions. Local tourism information centres are the best source of up-to-date information. There are over a hundred natural hot springs and pools dotted through the landscape and many are serviced by health spas and resorts. What a wonderful way to unwind after a long day of sightseeing! Do make sure you check local information because hot spring temperatures vary and some sights are for viewing only. For those of you healthy enough to prefer even more physical activity then cycling, walking, kayaking and horse riding in and around New Zealand’s beautiful waterways will expel all that energy! Apart from the interior water networks, New Zealand is also surrounded by one of the world’s largest marine preservation zones. Commercial fishing is extremely restricted in most areas and so private fishing tours are abundant whilst still allowing tourists the pleasure of experiencing an amazing variety of marine life. Not to mention the world famous surf spots which provide a consistently challenging range of waves along the pristine coastline. New Zealanders can be somewhat reserved, especially with people they do not know. Once they develop a personal relationship, they are friendly, outgoing and social. Do not appear too forward or overly friendly. They respect people who are honest, direct, and demonstrate a sense of humour. They trust people until they are given a reason not to. If this happens in business the breach will be difficult to repair and business dealings may cease or become more difficult. Appointments are usually necessary and should be made at least one week in advance by telephone, fax or email. It is generally easy to schedule meetings with senior level managers if you are coming from another country if the meeting is planned well in advance.
. 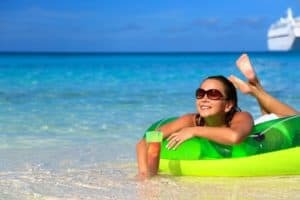 It can be difficult to schedule meetings in December and January since these are the prime months for summer vacation. Arrive at meetings on time or even a few minutes early. If you do not arrive on time, your behaviour may be interpreted as indicating that you are unreliable or that you think your time is more important than the person with whom you are meeting. Meetings are generally relaxed; however, they are serious events. Expect a brief amount of small talk before getting down to the matter at hand. If you make a presentation, avoid hype, exaggerated claims, hyperbole, and bells and whistles. New Zealanders are interested in what people 'can do' not what they say they can do. Present your business case with facts and figures. 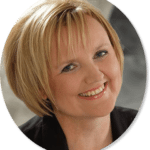 Emotions and feelings are not important in the New Zealand business climate. Maintain eye contact and a few feet of personal space. From rolling green farmland to majestic snow-covered mountains, with numerous rare species of flora and fauna and a mild climate: is the offer too enticing? Yes, it is. The over four million New Zealanders are proud to offer anyone who chooses this beautiful Asia-Pacific country as a destination to enhance study. That is not their all as it comes to the high quality education and training apparatus. Once you are there, you have the opportunities to study in an internationally recognized education system which is based on the British model. Also this means study exchanges between institutions in New Zealand and other English-speaking countries are completely promising. To help you choose the right hosting college in New Zealand that matches your academic and adventure objectives—please fill out the our inquiry form. Our team will send you our study in New Zealand program and advise you on how to get prepared, about the New Zealand Weather and all this is for FREE. Prospective students will need a Student Visa to study in New Zealand and this needs to be obtained prior to departing to New Zealand. It may take between 1 and six weeks to process a student visa. Prospective students will need to have paid their tuition fees and received an “Offer of Place Letter” from us before seeking a student visa. Students travelling to New Zealand must also have comprehensive medical and travel insurance. Students need to budget for living cost approximately NZD$ 300,00 per week. Insurance cover must match the expiry of the student visa. Students are also encouraged to have insurance to cover any personal effects or belongings. New Zealand accommodation is one of the lucrative privileges offered to students studying in New Zealand. Each New Zealand hotel is of the highest quality. 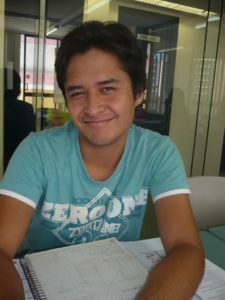 Moreover, they are located close to the student's study location for convenience. Picturesque Queenstown is one of pristine towns in New Zealand where hundreds of tourists throng each year to take part in skiing activities and mountaineering. The town in the South Island is flanked by Lake Wakatipu and Southern Alps. The saw-toothed Remarkables mountain range overlooks this town that is renowned for being the four-season alpine and lake resort. The region of Canterbury is the largest province in New Zealand that comprises of plains and mountains. The Southern Alps goes through it in the West while Conway River flows in the North. River Waitaki also flows through it in the South. Rich soil has made the region just right for agriculture and sustainable forestry. However, you can also find migrants being hired for construction work, heavy industrial tasks, fishery, and hydropower projects. The recruitment of international workers is based on the new Skill Hub rule. Dairy farming is also a lucrative profession here. Christchurch, situated in South Island is the third largest city in New Zealand. It is surrounded by Banks Peninsula in the north, hills and Canterbury province in the remaining region. The Avon River flows through it, making the place rich in minerals. No wonder, the city is known as the Garden City of New Zealand with nearly 700 parks. Many educational institutes thrive in this region, especially those that specializes in outdoor education. From skiing expedition to hiking, biking, and mountaineering, the youngsters take the pleasure of traveling the region as well. Situated in the Otago region, Dunedin is harbor city with historical, geographical, and cultural brilliance. It is the second largest city in South Island and surrounded by Harbor of Otago at one end, hills, and extinct volcano on the other end. Known for wineries, breweries, and farming, the town is picturesque, natural, yet commercially quite active. The harbor has initiated maritime activities to various parts of the world. The oldest city is also well known for its educational activities. The second oldest city, Nelson is situated quite close to Richmond at Tasman Bay. It was christened after Admiral Nelson who defeated foreign invaders, French and Spanish army centuries back. Historically and culturally quite well known, Nelson is also noted for its industrial activities in aviation and engineering. It is also commercially popular in four major subjects, namely horticulture, forestry, tourism, and seafood culinary. Napier, along with Hastings, are known as Twin Cities of New Zealand. It is one of the growing centers of wine and fruit production. Located at the Hawke’s Bay, Napier exports apples, stone fruits, pears, wool, and high quality wine. The town is also a great spot for tourists. Thousands of visitors visit the place in February to take part in Art Deco Weekend event. Other events include Winery show at Green Meadows and Mission Estate Concert at Missions Estate. Just few hundred km from the capital city Wellington, Napier is yet another important satellite town of New Zealand. Metal works, food, beverages, textile, and craftwork are some of the industries thriving in this region. Hamilton is the fourth largest city in New Zealand. The urban area is situated in the Waikato Region of North Island. Waikato River passes through this area, giving rise to agro-based industries. Although the climate is temperate, the environment in Hamilton has always been damp due to the swampy areas. Many lakes have come up in recent times, such as Lake Rotoroa, Lake Taupo, and series of smaller lakes. Farming, agriculture, tourism, and small scale businesses have come up in the area. Auckland is situated in North Island and markedly defined by the land in between Hauraki Gulf, Hunua Range, and Manukau Harbor. The urban area is the center for commercial and business prospect, primarily because of its proximity with Manukau Harbor on the Tasman Sea and Waitemata Harbor on the Pacific Ocean. Apart from business activities, thousands of tourists visit each year to cruise in luxury yachts or indulge in sea sports. Education is a lucrative revenue earning option for this area as well. New Zealand’s only castle is situated on the Otago peninsula and it is a mark of European craftsmanship and was completed in 1871. The ornate interior contains forty-three rooms and a large ballroom. It is a local tourist attraction and a piece of history to absorb. Bi-culturalism is an integral part of New Zealand life as a means of realising the aims set out in the Treaty of Waitangi that was signed in 1840. The other major influences are the Asian and Pacific cultures which have made a valuable contribution to New Zealand life. The cost of living is comparable to that of Australia and less than in Britain. For more information, please contact our team! Our service helps to calculate the living cost for the student studying in New Zealand on their behalf and according to their wishes. New Zealand has a population of 4.028 million, and a land area of 268,680 square kilometres. The highest point is Mount Cook or Mount Aoraki which is 3754 metres above sea level. The official languages of New Zealand are; English, Maori and New Zealand Sign Language. The ethnic of New Zealand are made up of 67.6% European, 4.6% Maori, 6.9% Pacific peoples and 9.2% of Asian. The capital city is Wellington with Auckland nominated as the largest state of New Zealand. The head of state is Queen Elizabeth II, and the head of government is called Prime Minister. New Zealand is a relatively small country located in the South Pacific Ocean. It consists of two main islands; the North Island and the South Island. There are small islands such as Stewart Island and other smaller islands. More than one thousand years ago, the first contact with the European was with the Dutch navigator Abel Tasman who visited New Zealand (or Aotearoa, the Maori name for New Zealand) in 1642. British explorer James Cook visited New Zealand in 1769, 1773 and 1777 respectively. The Europeans’ settlement made their living by hunting seals and whales, by working as traders and missionaries. From 1840 onwards, there are more and more well organised European settlements. On Christmas Day, Easter Friday, Easter Sunday and ANZAC Day most organisations such as government departments and services, businesses, shops and restaurant are closed. In New Zealand, July is the coldest month whereas January and February are the warmest months. The climate changes and varies little between summer and winter with gradually varies up to fourteen degrees Celsius as it moves from inland to the east of the mountain ranges. The popular term for New Zealand weather is ‘four seasons in one day’. In summer, you need light jacket or sweater. If you are visiting higher altitudes, you may need to bring a light rainproof jacket or coat. In winter, you need warm winter garments and layer your clothing. According to The Department of Internal Affairs, New Zealand, the Daylight Savings commences on the last Sunday in September, when 2:00 am becomes 3:00 am, and ends on the first Sunday in April the following year, when 3:00 am becomes 2:00 am. Daylight Saving ended on Sunday 5 April 2009 (when clocks went back one hour). It begins again on Sunday 27 September 2009 (when clocks go forward one hour). (The Department of Internal Affairs, New Zealand). New Zealand local phone numbers have seven digits. Area codes consist of two digits, the first is zero. When calling another region from within New Zealand, first dial these two area digits then dial the phone number. For more information, go to websites www.whitepages.co.nz and www.yellowpages.co.nz. Cheap phone cards and prepaid calling cards are available at any outlet of New Zealand stores, for more information on international calling rate, contact us. 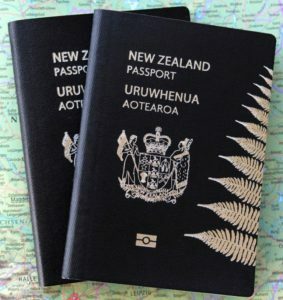 All international students are required by a Code of Practice to have New Zealand travel and medical insurance when considering study in a New Zealand institution. This can be arranged prior to arrival in New Zealand. For information regarding Insurance Companies please contact us here. Your medical insurance contribution is called a premium which can be claimed from a insurance provider when medical treatment is required. UK and Australian students are entitled to publicly funded urgent medical treatment but they will be required to cover the costs for other types of treatment. Other international students are required to cover themselves for all types of medical treatment whilst they are in New Zealand. Medical treatment required for accident cases are covered by a national 24-hour, 7-day no-fault accident compensation scheme which makes provisions for subsidised treatment but denies the recipient recourse to legal procedure. Most public booths in New Zealand accept credit cards but only a few accept coins. The country code is 64. Local telephone numbers have seven digits. Calls starting with 0800 are free. Dial 00 before the country code for calls outside of New Zealand. Yellow Pages (business category listings). Some residential telephone numbers in New Zealand may have "toll bars" attached to them due to some home stay students studying in New Zealand making overseas calls and not accounting for them. The services available to international students include global roaming, purchasing a prepay account or setting up an account with Vodafone or Telecom New Zealand after their arrival into the country. These are available at most newsagents and public stations. They are very cheap and easy to carry and this makes them very popular with international students. Stamps are available at supermarkets, newsagents and stations. New Zealand is open for business Monday to Friday from 9.00am to 5.00pm. International students should note that mail is directly delivered to the street address. Email may be available in student computer labs, cyber cafes or public libraries as a service at a cost. Courier services are efficient and they allow for the tracking of items sent locally or internationally. This may be available at your local institution at no cost to you. Sending faxes otherwise may be extremely expensive for international students. New Zealand is a mecca for trendy and fashionable international and local shops and offers consumers a world of luxury and comfort that many New Zealanders have come to expect. Opening hours are normally 9.00am to 5.00pm from Monday to Friday. Shopping in New Zealand can be lots of fun. You just have to know where to go! 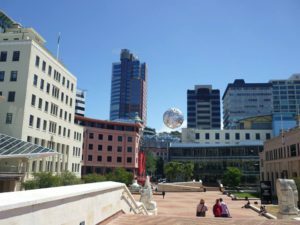 In addition to newspaper advertisements, international students should be aware that some New Zealand travel and tourism websites like the one for Wellington city has retail search functions as well. New Zealand has an abundance of fresh fruits and vegetables. People visiting the countryside will often find farm produce on sale at the farm gates. The dairy industry is New Zealand's national industry and a major direct and indirect source of employment and income for many New Zealanders. For more information about your rights as a consumer, please contact us. New Zealand is a place of adventure and invention and is home to a race of warm, friendly people who exhibit a modest spirit of independence and resourcefulness. 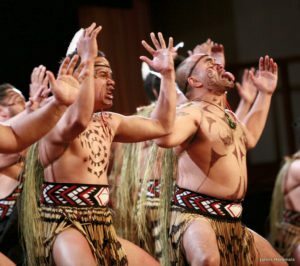 New Zealanders (also known as Kiwi’s, in reference to their flightless, native bird) have fused the food, fashions and lifestyles of other Pacific Rim nations with their indigenous Maori and ancestral European cultures to create a unique Kiwi identity. Situated in the South Western Pacific Ocean and being Island Country with two main islands which are North Island and South Island with numerous smaller islands and Wellington being the Capital of New Zealand. Because New Zealand is so isolated from everyone the country has vary precious and untouched environment such as distinctive fauna which is dominated by birds and mammals. New Zealand is about two thousand kilometres south of Australia across the Tasman Sea, with neighbours such as Fiji, Tonga, and New Caledonia. Elizabeth II is the Queen of New Zealand and is the country’s head of state with representation by a ceremonial Governor General with political power being held by Prime Minister who is head of Government. The population is only 4.3 million which are mostly European descendents and Indigenous Maori being the largest minority, the mostly common spoken language is English. If we look back in history the first settlers were Eastern Polynesians who went to New Zealand between around 700 and 2000 years ago with development of distinct culture now known as Maori and the first Europeans reaching its shores in 1642 by the Dutch explorer Abel Janszoon Tasman and his crew, but Captain James Cook has a greater meaning due to being the first to map almost the entire coastline with his voyage in 1768 – 71. New Zealand has its own Indigenous Maori name being the Aotearoa where if you translate it in English it has a meaning of being The Land of Long White Cloud. Now New Zealand cities are ranked amongst being the world most liveable and being rank highly in international comparison of human development because of peace, prosperity, life expectancy, economic freedom and lack of corruption being just the few. With International trade shows being popular in New Zealand where conferences, industry events, products and service are presented by New Zealand companies. 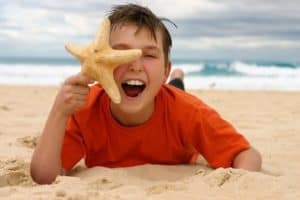 Some of the few upcoming events are, Aus Biotech 2009 October 27-30 being known as the premier biotechnological conference for the Asia Pacific region, Fort Lauderdale International Boat Show 29 Oct – 2 November 2009 known as the world largest boat show. New Zealand has an exciting technological edge in the sporting world regarding the use of carbon fiber. Starting in the early 1990's New Zealand has pioneered the daring use of this space-age material for racing motorcycles, the 2000 series of the Americas Cup Yacht races which she won handily and most recently the world record setting round the world powered boat on the least fuel, the Earthrace boat. If you have any interest in world class racing motorcycles but have wondered what kind of country, what environment, what schooling system, what kind of culture would dare breed such avant guard thinking-- look no further, it is New Zealand. Most people of the non racing world have never heard about the Britten motorcycle but this racing-mad country has all but enshrined John Britten as one of its pre-eminent inventors and one of its greatest legends. As has been said time and again by so may experts and commentators, the self reliant can-do attitude that New Zealanders have had to develop was in no small part a direct result of being so severely isolated from the nearest re-supply which was often 20,000 Kilometers away in Europe. If you visit this country you will become aware of its penchant for making do with less and making things work on a proverbial shoe string. Taking a totally whole new approach to problems and coming up with radical, unprecedented solutions are what has not only characterized Brittens Bikes - eventually 10 were produced- but arguably is a hallmark of this nation. This is what John Britten and literally a few friends did in designing and building his V 1000 racing motorcycle. It not only took the sporting world by storm, it shattered it! It has been described as the greatest motorcycle ever built and it set four motorcycle world speed records: the standing ¼ mile, the mile and kilometre and the flying mile at 302 kph. It went on to win the Battle of the Twins in the Netherlands in 1992 and Daytona and did so repeatedly in that even and the BEARS - British European American Racing - events in the latter 90's. Huge factory teams and resources fielded by Honda and Ducati were of no use against the tiny crew and enterprise of the Britten contingent as they all succumbed to the ferocious speed, lightweight and revolutionary technology that liberally adorned the Britten. Aerodynamic charge induction, and consequently small radiator location, lightweight semi-intelligent front girder-type suspension, frame-less design and construction, various parts of this winning recipe have now been adopted by the worlds competitors whom back then did not realize what they were looking at and falling victim to at the many races across the world. Built almost entirely of carbon fiber including the wheels, even the motor itself was an entirely radical, brand new and unique creation which Britten hand cast in aluminium himself. Sadly, New Zealand and the motorcycling world lost a great visionary and revolutionary designer when John Britten succumbed to melanoma in 1995.